Romance writing is still my first love, but I recently co-authored a book that will change the way you think about problems, creativity, and life. What is BIG IDEAS about and why should I read it? What happens in the brain when someone has an inspired idea? BIG IDEAS explains the amazing way your brain produces Aha! Moments, how you can have more of these inspired moments in your life, and how to turn these big ideas into life-changing events. 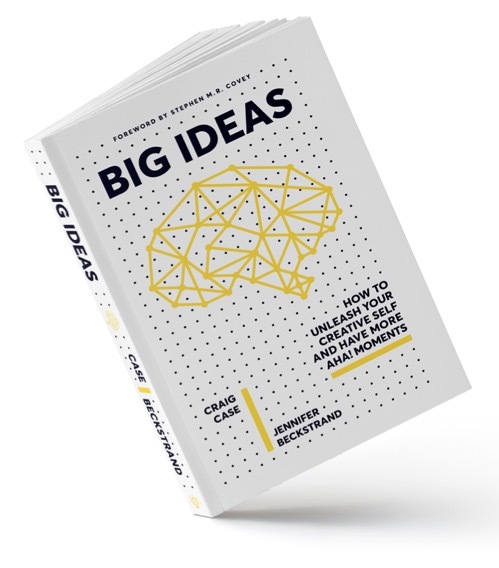 BIG IDEAS shows you how to generate better solutions to your most pressing problems using examples from some of the most innovative, productive thinkers in history, like Archimedes, the ancient mathematician whose life depended on one elusive, brilliant idea, Johannes Gutenberg, the inventor of the movable type printing press, and Albert Einstein, one of the most intelligent, creative scientists in history. All three of these men needed innovative answers to their most baffling questions. Their answers changed the world. Many of the world’s greatest thinker and innovators use and have used a common model for creative thought. We call it the Big Ideas Creative Thinking Model. Anyone can use the principles in the model to find better and more creative answers to their most pressing questions. Why did you write BIG IDEAS? The concept of inspiration has captivated us for several years. How do Aha! Moments work? Can the average person get inspiration or is it only available to the geniuses of the world? After doing extensive research on brain science and the science of inspiration, Craig expanded the concepts into a workshop. This book is a natural extension of the workshop. The book and the Big Ideas Connect-The-Dots Workshopcomplement each other and provide valuable, practical information for anyone wanting bigger and better ideas. And more creative thinking products are on the way. Are Big Ideas, inspiration, Aha! Moments all the same thing? Yes! Some people call that sudden flash of insight “inspiration.” Others refer to it as an epiphany, an Aha! Moment, a gamma spike, a moment of insight, or as we call it in the book, a BIG IDEA. In the context of creative thinking and better ideas, these words mean the same thing. 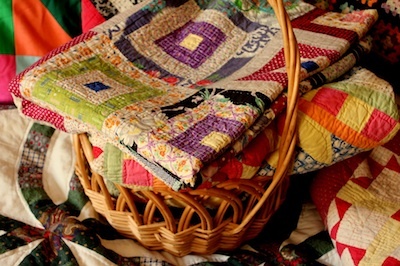 A BIG IDEA is a novel, useful, and spontaneous solution to a problem. It can significantly improve one’s life or make a positive change in the world. The book explores brain states. What are brain states and what do they have to do with insightful thinking? We spend most of our waking hours in two conscious brain states: beta, the more active mental brain state; and alpha, a slower brain state. While both brain states are essential for creative thinking, most people spend considerably more time in beta than alpha. This is an impediment to creativity because innovative thought requires the brain to slow down so it can unconsciously process information. Our hectic lifestyles, combined with intrusive technology tools designed to keep us in beta state, stifle creative thinking. In the book, we highlight the incredible benefits of getting into the alpha state and the even slower theta state. These are the brain states that accompany day-dreaming, mindfulness, and meditation, the activities that encourage creative thought and Aha! Moments. What Is the Big Ideas Creative Thinking Model? The Big Ideas Creative Thinking Model came from studying how creative people throughout history developed their amazing ideas. Philosophers, scientists, poets, artists, and inventors have used a similar thinking process. In the book, we explain that process and how to use it to generate bigger and better ideas. What’s the single most important message from the book? Anyone with a functional brain can increase her or his ability to have more and higher-quality Aha! Moments. Innovative thought isn’t just for Curie, Aristotle, or Mozart. It is available to anyone who is willing to do the work and follow the Big Ideas Creative Thinking Model. The benefits of innovative thinking are enormous. 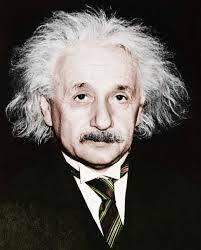 Not only can BIG IDEAS change the world—like the Gutenberg Press or Einstein’s theories on relativity—but they can change and dramatically improve people’s lives, make them healthier and happier, provide greater fulfillment, and allow them to make meaningful contributions in ways they never before dreamed possible. 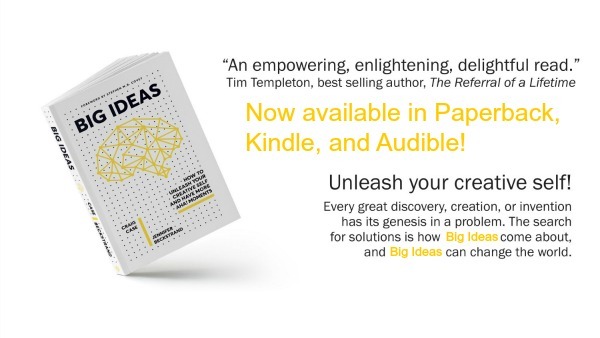 Big Ideas is available on Amazon.com. You will be changed!